The Associated Board of the Royal Schools of Music(ABRSM) is an examinations board and registered charity based in London, UK, which provides examinations in music at centres around the world. ABRSM is one of four examination boards accredited by Ofqual to award graded exams and diploma qualifications in music within the UK’s National Qualifications Framework (along with the London College of Music, Rockschool Ltd and Trinity College London). 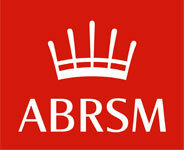 ‘The Associated Board of the Royal Schools of Music’ was established in 1889 and rebranded as ABRSM in 2009. The clarifying strapline “the exam board of the Royal Schools of Music” was introduced in 2012. More than 650,000 candidates take ABRSM exams each year in over 93 countries. ABRSM also provides a publishing house for music which produces syllabus booklets, sheet music and exam papers and runs professional development courses and seminars for teachers. Trinity College London (TCL) is an international exam board based in London, England. Trinity offers qualifications across a range of disciplines in the performing arts and English language learning and teaching. The board conducts exams in over 70 countries. Trinity College London was founded as the external exams board of Trinity College of Music (known today as the Trinity Laban Conservatoire of Music and Dance), and began offering exams in music to external students in 1877. Over time, Trinity expanded to offer exams in other areas of the performing arts and in English for Speakers of Other Languages (ESOL).Trinity College London also presents Rock and Pop Examinations, and to date many students who like this genre have sat for these examinations around the world. The education authorities in Sri Lanka have presented an opportunity for school leavers to enroll for a degree programme which has music and business as the two subjects.